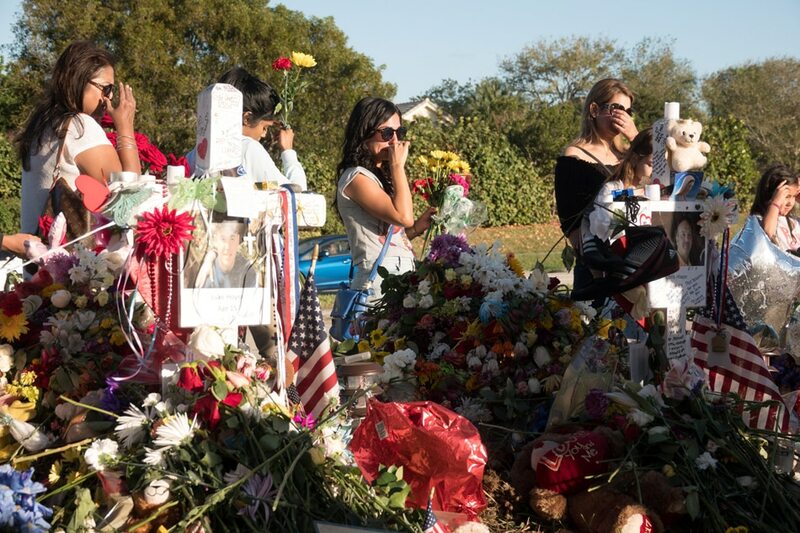 FORT LAUDERDALE, Florida- Students and teachers traumatized by one of the deadliest US mass shootings ever were due back in classes on Wednesday for the first time since a gunman killed 17 people in their Florida high school 2 weeks ago. Marjory Stoneman Douglas High School in the affluent Fort Lauderdale suburb of Parkland, was scheduled to reopen its doors at 7:40 a.m. local time for a half-day schedule, though the building where most people died will remain closed indefinitely. "It’s just really hard to think about," David Hogg, a senior who has become one of the school's leading gun-safety activists, told NBC News on Tuesday. "Imagine getting in a plane crash and having to get back on the same plane again and again and again and being expected to learn and act like nothing’s wrong." A former Stoneman Douglas student, Nikolas Cruz, 19, who authorities say was expelled last year for unspecified disciplinary problems and had numerous run-ins in the law, has been charged with 17 counts of premeditated murder. Besides reigniting a national debate between advocates of tougher firearms restrictions and proponents of gun rights enshrined in the Second Amendment of the U.S. Constitution, the shooting has raised questions about the role of law enforcement in events leading up to the massacre. The Broward County Sheriff's Office and the Federal Bureau of Investigation have faced criticism that they failed to properly follow through on multiple tips warning that Cruz had the potential and capacity for deadly violence. Sheriff Scott Israel has come under heavy criticism after disclosing that one of his armed deputies, assigned as the school resource officer, stayed outside of the building while it was under attack rather than make entry to confront the gunman. The deputy later resigned rather than face disciplinary action, Israel said. The sheriff has acknowledged his office is examining reports from a neighboring police department that three more deputies who were present took cover outside the building with guns drawn rather than go to the school immediately. Israel, a Democrat first elected sheriff in 2012, has said that calls for his removal by a group of 74 Republican state lawmakers are politically motivated and that he has no intention of stepping down. On Tuesday in Tallahassee, the state capital, the House Appropriations Committee voted to raise the minimum legal age for purchasing all rifles to 21 from 18 and impose a three-day waiting period for any gun purchases. Buyers of handguns must already be at least 21 and submit to a 3-day wait. The measure would also create a statewide program to arm specially trained teachers - subject to school district approval - while assigning more police as school resource officers and allowing police to confiscate weapons from people who are involuntarily committed as a danger to themselves or others. In addition, the measure would outlaw the sale of bump stocks, devices that enable semiautomatic rifles to be operated as fully automatic machine guns. The panel rejected a Democratic-backed amendment to ban assault-style weapons, like the one used by the gunman in the Florida school attack. The package must now win approval in the full Republican-controlled legislature before it goes to Governor Rick Scott, also a Republican, for his signature.